This two-story, gable-and-wing house is unusual for the brick veneer that was likely added around 1930. The house is three bays wide and single-pile with a projecting front-gabled canted bay on the left (south) end of the façade. It has two-over-two wood-sash windows with a one-over-one window, with a larger lower sash, on the first-floor level of the projecting bay. The one-light-over-three-panel front door is sheltered by a hip-roofed porch that extends around the projecting bay and is supported by tapered brick posts on brick piers. 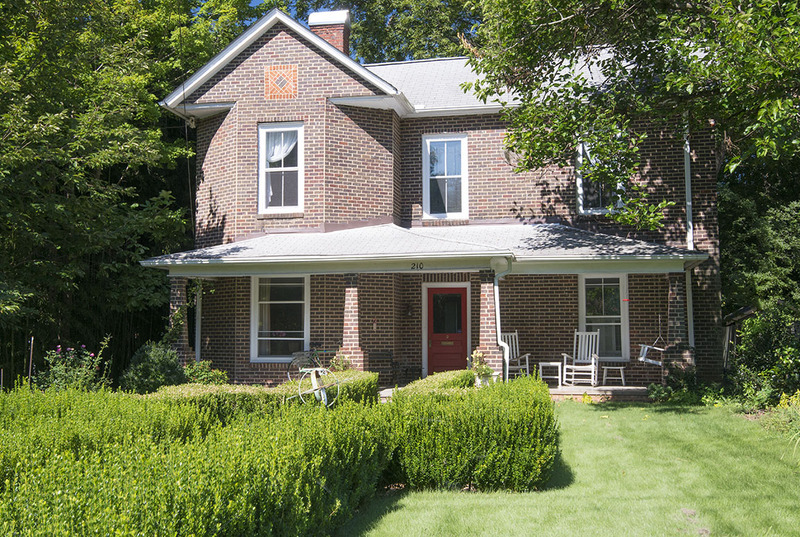 There is an interior brick chimney and a decorative brick motif in the front gable. The front yard is formally landscaped with a gravel walkway edged in brick and plantings along the street and sides of the front yard. There is a low brick wall along the left (south) side of the property. County tax records date the house to 1912. The brick veneer was added in 1931.